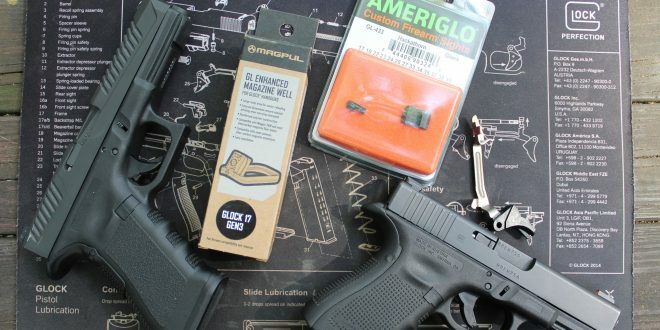 Improving your Glock for under $100 Part II: Connectors, Sights and Magpul Magwell! | DefenseReview.com (DR): An online tactical technology and military defense technology magazine with particular focus on the latest and greatest tactical firearms news (tactical gun news), tactical gear news and tactical shooting news. 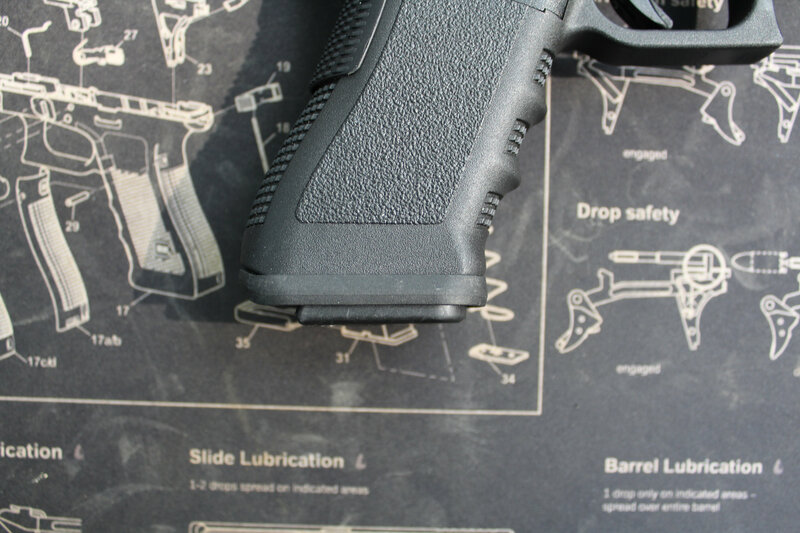 Hopefully, you’ve already ready checked out Part I of “Improving Your Glock for under $100”, where I discussed how to improve trigger take-up and reduce trigger pull weight, replacing the plunger, and polishing the trigger bar. Now, we’ll continue on with improving trigger pull. Another popular and simple method to reduce trigger pull weight is to replace the stock connector with an improved one. Swapping connectors is very easy to do and can be done at the novice gunsmithing level. Most improved connectors are not expensive, going for around 20 to 30 bucks (US dollars). I personally like the Ghost Inc. 3.5 lb. 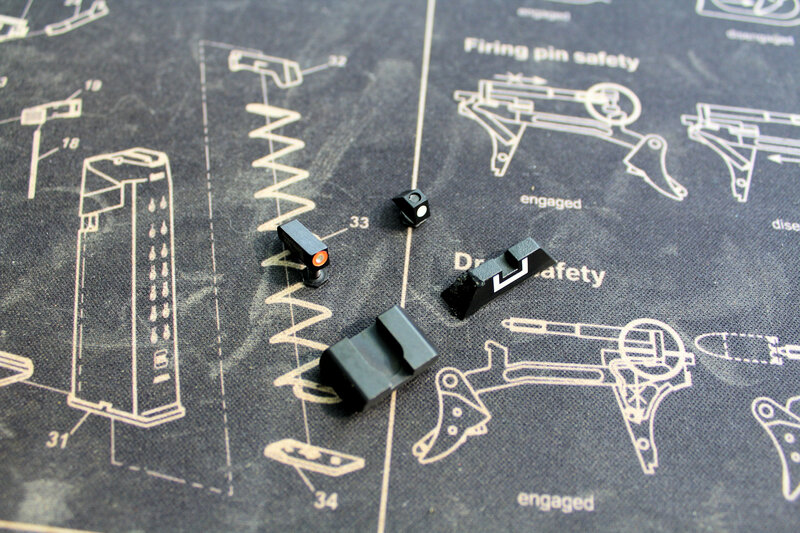 Trigger Connector for Glocks Gen’s 1-5. By just dropping one in, you’ll instantly see improvement in trigger pull weight and feel. However, to really get the most out of not just an aftermarket connector, but even just a stock one, you might need to tune it. Swapping the factory connector for an aftermarket one will drop trigger pull weight. 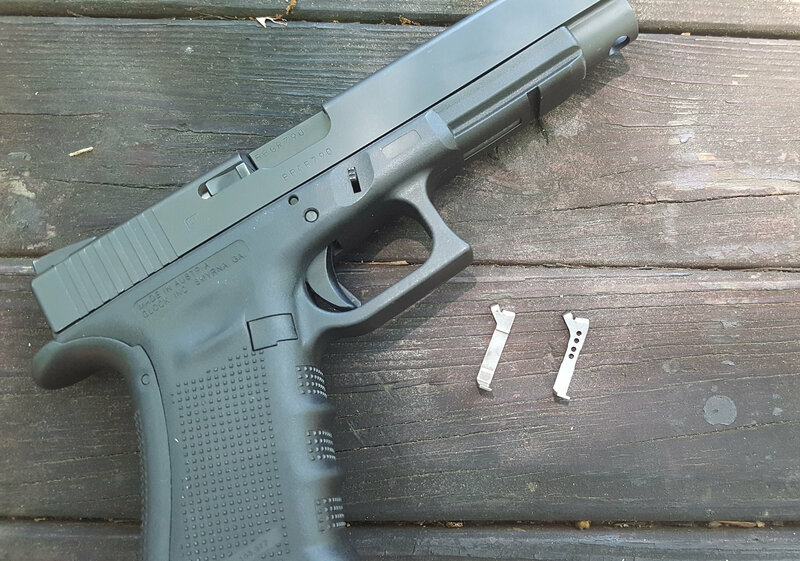 Next to the Glock 34 is a polished Glock stock connector. Right of that, a Zev Tech Race Connector. A big part of trigger pull weight comes from the angle of the connector as it sits in the trigger housing. Depending on the manufacturer, the angle can vary anywhere from 80 to 90 degrees. Now, if you drop an aftermarket connector into your pistol and see a significant trigger pull weight reduction (over a pound), I wouldn’t mess with it. But, if you find you are perhaps getting only half a pound taken off the pull, then it’s time to check the angle of the connector. To do this, I recommend watching a YouTube video titled “Transfer Bar Drag” by Johnny Glocks. In this video, he goes in-depth into how the trigger bar engages the connector, explaining what to look for to check if there is too much outward angle with the connector. As he explains, if there is, it can push the trigger bar out against the frame, causing the trigger bar to rub against the frame. This rubbing creates drag, which in turn negatively affects trigger pull. If this is the case, he shows what the ideal connector angle should look like. 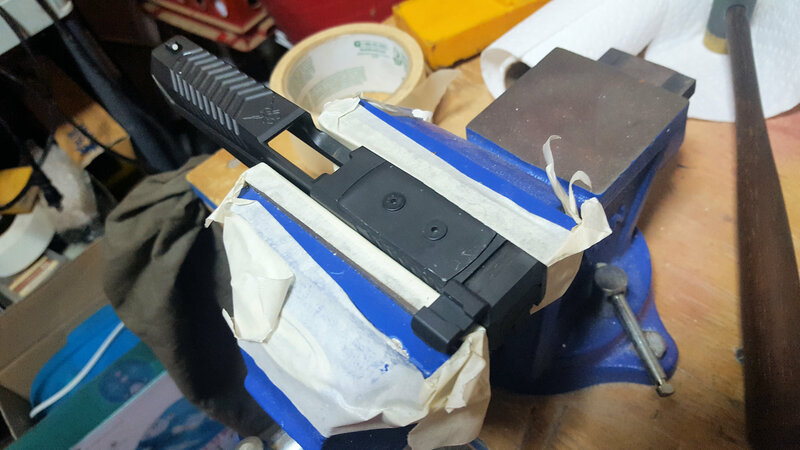 Following his instructions, just by bending the factory connector to where he recommends it should be at, I was able to trim of a few ounces off my Gen3 trigger pull weight. I should point out, though, that a Ghost Inc. 3.5-lb connector for Glock pistols, untouched from the wrapper and just dropped in, still beat out the tuned stock Glock connector by reducing trigger pull an additional 2 ounces. Now, tuning (bending) the connector may take a little trial and error. I still consider it novice level gun work. However, where I think there is zero chance damaging the trigger bar from polishing, I think there is a chance of messing up your connector if you’re not careful. So, while I highly recommend upgrading from a stock connector to a better one, if you’re unsure about tuning it, I’d advise you to seek out a qualified professional to take care of it for you. In the case of my connector for my Gen3, I put the end in a vice, gave it one hard push, and it bent just enough to look like it had the same look as Johnny shows in his video (about an 88-degree angle, with no space at the top between the connector and trigger housing). As far as which brand of after market connector to go with, I prefer the aforementioned Ghost Inc 3.5-lb connector or Zev Technologies Race Connector, which may be discontinued–but you can get a Ghost Inc. Ultimate 3.5lbs Connector from their website for $19.95 at this time. Let’s face it, the stock plastic sights that come on the majority of commercial Glocks are pretty dismal. One of the first things you’ll notice If you do a lot of draws from the holster is that over time, the front sight starts to get chewed up and mis-shapen from rubbing on the inside of the holster. This is especially true with kydex-type holsters. The plastic sights are just too fragile, and provide the bare minimum in profile for aiming the gun. Pistol on the right is equipped with plastic Glock stock front sight. Note the edges are becoming slightly deformed. This is due to it rubbing/hitting the holster during fast draws. Pistol on the left has blaze orange front sight, which is the Ameriglo Hackathorn sight. Hands down, the best sights for both defensive use and general all-around shooting are Ameriglo’s Hackathorn sights, in my professional opinion. This is because with both a green tritium insert and a super-bright orange florescent dot, the front sight is very bright, making it fast and easy to pick up and focus on it. In fact, it’s almost as bright as a fiber optic competition-style front sight, which draws your eyes to the front sight, even in very bright daylight. Not the best picture, but I think you can see that the fluorescent orange dot on the Hackathorn front sight does a excellent job of drawing one’s eyes to it. For low-light shooting, the center is a tritium dot. Plus, the tritium insert also works extremely well for low light situations. Because of this combination, I feel the Ameriglo Hackathorn sights make for the ideal sight package. What makes these sights even better is the price. You can purchase a set of Ameriglo Hackathorn sights for just under $60.00. I purchased mine new off ebay for $58.30 (with free shipping). That’s about $20-$30 less than your average competition only style sights, and a third of what some other tritium sight sets cost. The only drawback to these sights is that there’s only a tritium front sight. The rear sight is plain flat black. I actually prefer this. I think having just a tritium front sight is good enough for low-light shooting. Plus, having any other sort of dots or other marks on the rear sight is not needed anyways, since your eyes can only focus one thing at a time. Dots on the rear sight tend to distract me from the front sight. The only other critique of these sights is that because they’re primarily designed for defensive use, the front sight is very thick. This is good for making it very durable. I have twice had match front sight posts break on me (catching on kydex concealable holsters). The downside is that a very thick (wide) front sight can make it hard for precise shots at distance, or shots against small targets. Now, don’t get me wrong. I’m not saying they won’t work at all, just that competition specific sights, which are generally thinner, allow for more precise sight/shot placement on small or far targets like 6-inch steel plates and such. So, depending on the distance to the target. The Hackathorn sights may not be the fastest option, but keep in mind that this is true for any sights intended for defensive use. So, while they might not be the ideal sights for say a steel plate challenge, they’ll still vastly outperform stock sights for shooting 6-inch plates out to 20 yards or so, and the florescent orange dot will facilitate a very fast front sight picture, allowing them to perform better than most other tritium sights. 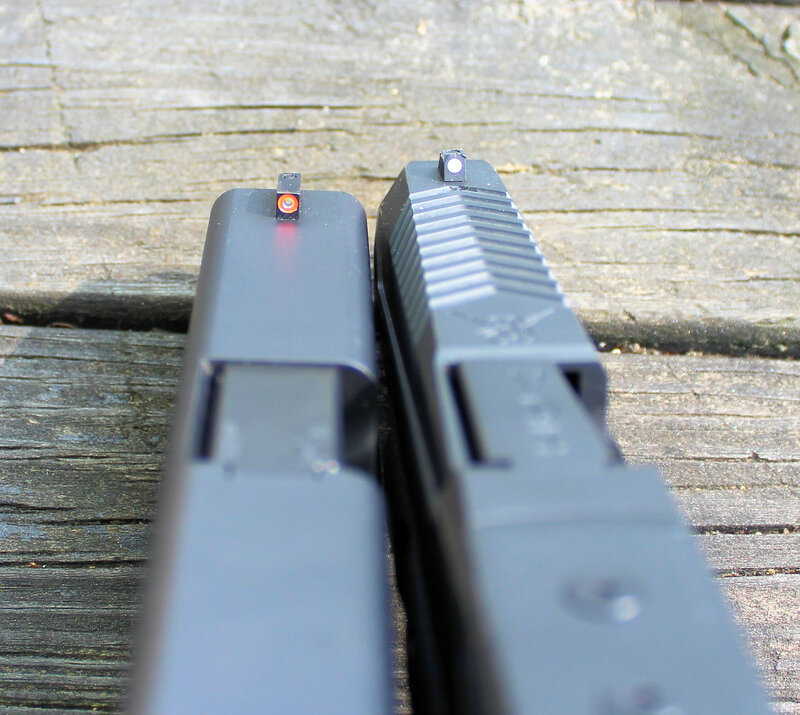 Hackathorn sights vs. Glock sights. Hands down, the Hackathorns win due to their all metal low profile design and the super-bright front sight with tritium insert. Works great day or night. The last thing I want to mention concerning sights is installing them. 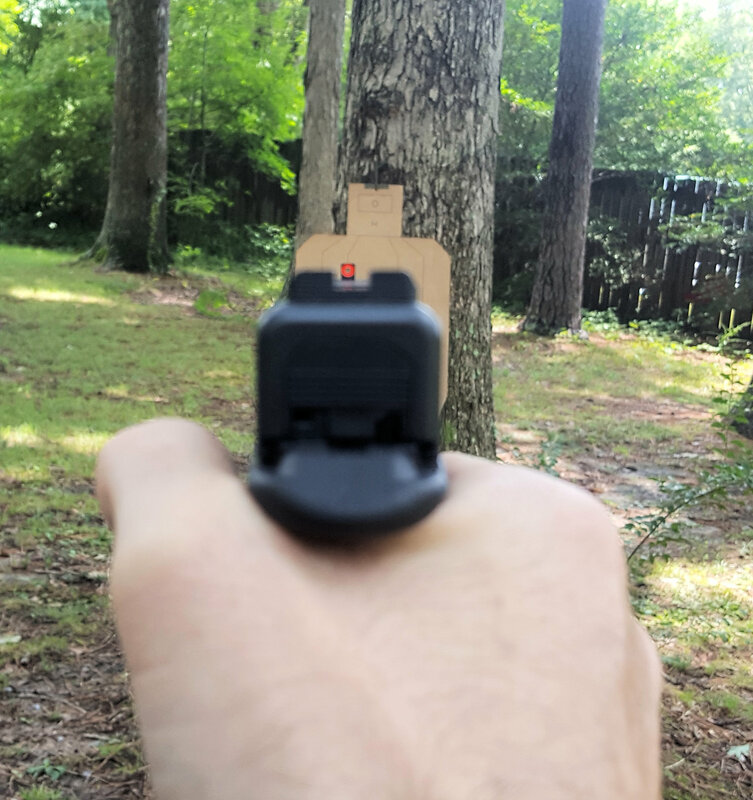 When I put a set on my Gen4 Glock 19, the Hackathorn sight (specifically the rear), slid perfectly and firmly into place, with no fitting required. That was not the case with my Gen3 Glock 17, that required some minor fitting. The local rate for a sight install near me is about twenty to twenty-five bucks. Now, I know they sell sight-pushing tools that attach to the slide and allow one to turn a knob that pushes the rear sight in, but using one of these tools doesn’t guarantee the sight will not still require some fitting. Plus, the average price of these tools starts at around $30.00 USD, and only goes up. If you’ve never installed sights yourself, and want to learn how to do it with just a small hammer, punch and a fine file, if fitting is required, there’s an excellent video on it on youtube posted by Dawson Precision. In it, installing sights is done by mounting the slide in a vice and tapping the rear sight in with an aluminum punch with nylon (plastic) tip. You don’t need a vice, but it does make it easier. The best part of the video is where it shows how to file the sights to fit. You can follow along and do it yourself. Using a vice, hammer, sight punch and a small flat file, I had no problem following along with Dawson Precision’s sight installation video. If you’ve been keeping track so far between target=right>Part I and Part II, between the LSPI titanium plunger for $17.08, target=right>Ghost 3.5-lb Connector at $19.95, and Ameriglo Hackathorn sights for $58.30, that comes to $95.33. While my last item will put us over $100.00, I think it’s something that’s well worth mentioning. Magpul GL Extended Mag Well. Cheap in cost but high in quality and function. If you want to make reloading easier, adding a flared magazine well can help. Now, if you own a Gen5 Glock pistol, there’s no need, since that’s one of the big changes to the Gen5, which all now come with a flared magazine well, and I think it works great. But, for the previous-generation Glock pistols, you’re going to have to install an aftermarket one. Now, up until about a year ago, most flared magazine well extensions were all around $100.00, which I frankly thought was too much to pay for the small added benefit of a larger opening in the magazine well. However, since the release of the Magpul GL Enhanced Magazine Wells for Glock 17 and 19 pistols, my opinion has changed. At only $24.95, thats an outstanding price compared to most other existing extended magwells. You can see adding Magpul’s extended magazine well not only does a pretty good job opening up the magwell, but also fills in the gap in the backstrap. What also makes the Magpul version so good is its very low profile. One critique many have about adding a flared or extended magwell is that it makes the pistol harder to conceal. 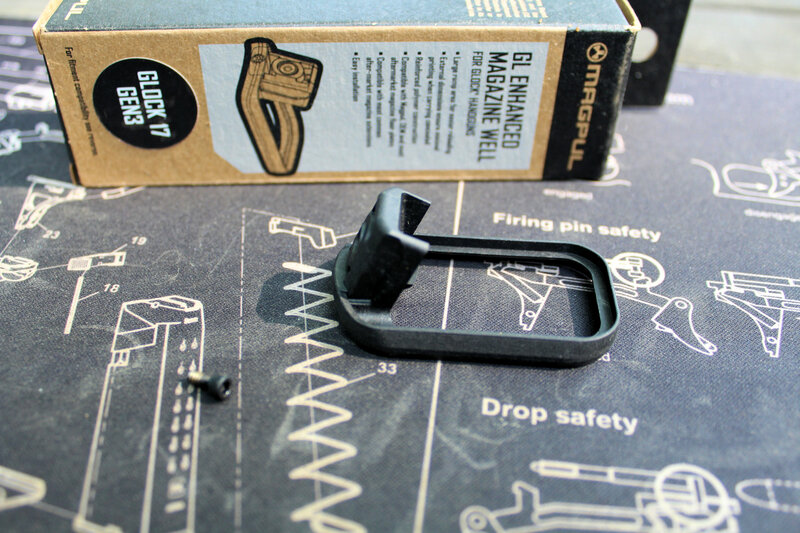 I think Magpul’s GL Extended Magazine Well has the best balance between offering a larger funneled opening for mags, and not being overly large, making the pistol harder to conceal. There is no real extra length added to the pistol, since the magazine still sticks out past the Magpul magwell. As far as width, it does increase it some, but we’re talking about an extra 1/8th of an inch added around the mag opening. I think that should be the least of your worries if you’re concerned about printing. To be frank, pistol concealment is all about the holster. If you have a good one, the little added width from Magpul’s extended magazine well shouldn’t be an issue. As you can see here. With the fully seated mag sticking slightly out, the Magpul extended magwell doesn’t add that much length at all to the grip. How well does it actually work? On a timer, from one shot to slide lock, then reload and another shot, my best out of three runs with a G17 without the Magpul Extended Magwell was 1.8 sec for the reload. With the Magpul Extended Magwell; the time for reload between shots was 1.62 seconds. So, I was able to trim off almost 2 tenths of a second. Now, that may be a super-small number, if I’m shooting against a buddy on the range, and we’re both shooting the same drill requiring 3 reloads to complete, with the Magpul Extended Magwell, I could potentially save a half a second or more, total, just with reloads. Just like in a real gunfight, speed does count. So, anything that saves even a little time is worth giving a try, in my book. Sure, you may have no trouble hitting fast reloads on the flat range, but what about in a situation you don’t control, say, in the dark, while moving against an armed threat? In that instance, having a larger funneled opening in the magwell could greatly improve your ability to make that necessary reload under stress. So, are there benefits to customizing one’s Glock with full-custom kits? Of course there are. But does the average Glock owner need to spend a few hundred dollars transforming their Glock into a high-end, race gun? I think not. Many are just seeking a minor upgrade to improve the trigger some, and better, more durable sights. If you’re one of those people, I highly recommend giving the items and techniques written about in both part I and II a serious look. Not only will you save a ton of money doing the work yourself, but the items I’ve covered are of high quality, and will not compromise the reliability of your Glock firearm. 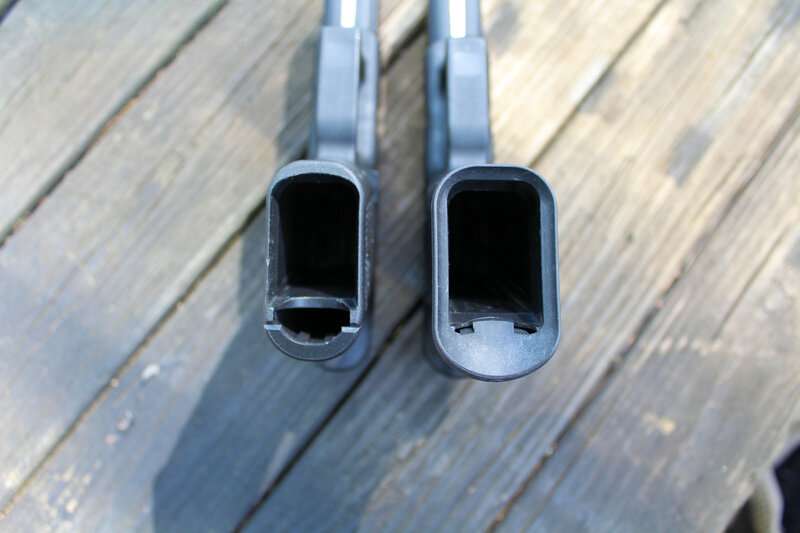 Previous: Improving your Glock for under $100, Part I: Plunger and Trigger Bar Mods! Next: Rostec Russian Ratnik-3 Future Soldier Military ‘Stealth Camouflage’ with ‘Chameleon Helmet’ Adaptive Camo (Camouflage)/Visual Cloaking Technology to be Demonstrated for Soldier Suits and Vehicles Soon: Does it also Cloak Thermal/IR and SWIR Signatures?